Perishke, Pyrizhky, Piroshki, or Pirozhki are Ukrainian (or Russian) buns filled with something yummy, then baked or fried. Fillings can be anything from sweet-based goodies such as apples, cherries, apricots, jam, to cottage cheese, potato, cabbage or my favorite, meat. Many simply know these as meat buns. 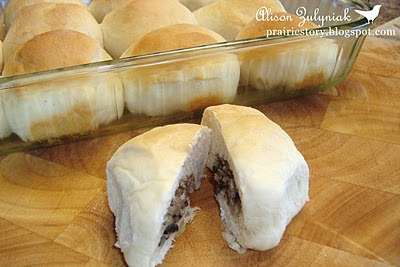 The Perishke that I like the best have a ground beef, onion and mushroom filling and are baked. The combination of the sweet dough with the savory filling is so good. Total comfort food for me. Growing up, I remember these being smaller and more oblong, but over the years mine have become larger and rounder. - To make filling, brown ground beef in fry pan and drain excess fat. Be sure that the ground beef is in small crumbles. Add in the rest of the ingredients (except for sour cream) and simmer until onions and mushrooms are cooked and soft. Cool to room temperature and mix in sour cream. The sour cream helps to bind the meat filling slightly. - Prepare Sweet Dough. Turn out dough on floured surface and form into a log. - 1 batch of dough will cut into 12 pieces. Flatten each cut peice of dough into a small square shape, with cut/sticky side up. Fill with approximately 1 tablespoon of meat filling. Pinch closed and form into round bun. - Place into greased, 9x13 baking dish. Let rise for at least 10 minutes. pieces. I love this. We have different types at our end. We commonly call this meat bread. 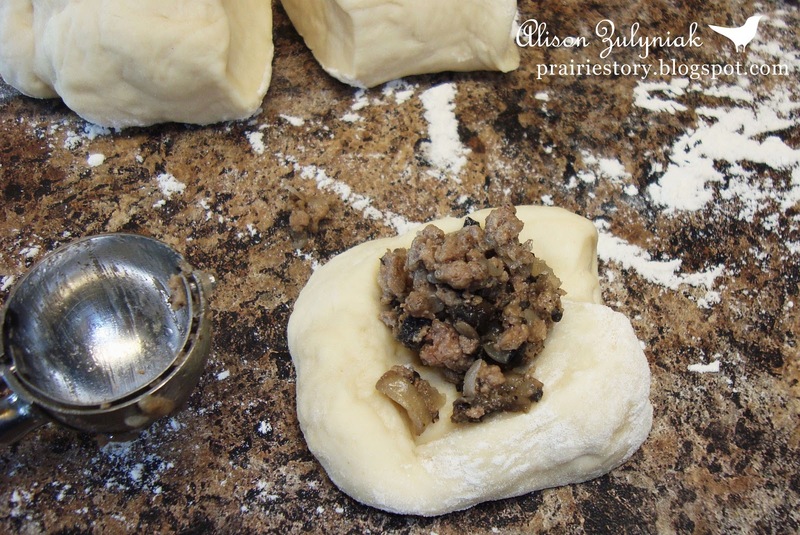 My best friend's mom in Winnipeg used to make perishke with cabbage or prunes at Christmas. I loved the cabbage ones. I haven't had a perishke in probably 25 years! You've brought back a happy memory. 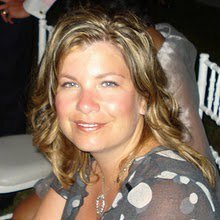 Your recipe with ground beef and mushrooms is one I want to try and I'm thinking I will do a batch using your recipe in honour of my friend's mom this Christmas. Thanks for the good memory and the inspiration. I love your blog. wow, looks yummy...thanks for sharing your recipe! we are also doing something like this but differently, we call it empanada, i just guess it same! :) happy weekend! Do you have the sweet dough recipe? That is key. I would love it. Hi - we call these Runza's here. Make them with cabbage, onion, green pepper, hamburger and celery seed/pepper. Very good. You can also make italian ones with hamburger, cheese, a little tomato sauce. And I use frozen bread dough, thaw it, cut it into 8th's and they are made into rectangular shapes. I was just thinking of making some of these. Thanks for the reminder. These look wonderfully delicious. I've always wondered how to make them. Thanks for sharing this recipe. Wonderful recipe! Thanks for sharing and linking up! I just came across this recipe and would love to make it as a surprise for my mom and Baba Christmas eve, I was just wondering if they are as good reheated if I prepare them in advance or if I should leave baking them until just before we are ready to eat? I just bet these are going to be fabulous with just the mushroom/onion mix and without the beef (for a lower fat, cholesterol and calorie option). Thanks for sharing.